Welcome to the final post in our Walt Disney World Bakery Throw Down challenge! We’ve showcased four bakeries since mid-December, and today we proudly present Epcot’s Kringla Bakeri Og Kafe! Kringla Bakeri is located in the Norway pavilion of Epcot’s World Showcase. Walk through the door and you’ll find yourself in a quaint, Scandinavian kitchen — well, yourself and about 50 other people. It always seems to be crowded in there! There is shelving on the wall holding salt, sugar, flour, and spices; iron candelabras hanging from the wooden ceiling; and painted tiles set into the brickwork on the bakery floor. 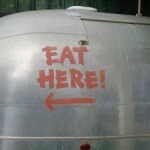 And, of course, you’re surrounded by good things to eat, situated on large plates in glass cases. Once you make your determinations as you walk by the cases, you’ll end at a cash register. Seating is available in a covered area next to the register and also outside. Kringla Bakeri is best known for School Bread, a sweet, donut-like pastry filled with vanilla custard. But there’s lots more to try! The Norway pavilion also used to be the home of the cult favorite Rice Cream, but I haven’t seen it around lately. I’ll add a photo of it anyway, since Brett had such a nice one! Add to this your favorite warm drink — is a Kafe, after all — and you’re all set for a relaxing break from walking all day in the Florida sun (or from the freezing weather, if you’re there this week!). By the way, if you’re wondering what Lefse is, here ya go: WikiLefse. Yay! Cody voted! Are you willing to tell which you chose? I did not see a picture of our “can’t miss” item from Kringla. Every visit we go to the bakery at least once and eat their strawberry mouse/cheesecake/pie (not sure which it really is). One hot day several years ago we stopped in there for a cool drink and saw this in the display cabinet. We purchased a soda and one of those and cannot go to WDW without getting it again. Unfortunately we have not been able to find the recipe for it. I would recommend it to all. Ooh! Thanks for the heads up, Paul! I haven’t seen it at all, but I’m looking forward to trying it on my next trip. Anything that’s hybrid mousse/cheesecake/pie has gotta be good! Last few times were were at Kringla, the School Bread had changed quite a bit from its original glory. It was smaller and covered with toasted coconut! Can anyone confirm/deny its current format? GiGi, one of the photos in the blog (taken in Fall 2009) looks like the coconut is a bit toasted (a family member took the photo for me, so I didn’t get a close look). Hopefully someone can come by with a definitive answer soon! 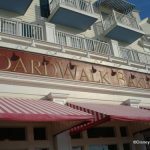 Stumbled upon this article talking about my favorite place to grab some sweets at Disney, so I can’t resist. Before going there last summer, I had no idea what a cloudberry horn was, let alone a cloudberry. Now, I’m determined to try real clouberries since they made such a delicious pastry filling! Cassy — Glad you mentioned the cloudberry horn! I’ve never tried one; how does it taste? Just discovered this blog and it’s right up my alley. I just returned from WDW on Saturday after a chilly week full of awesome food. 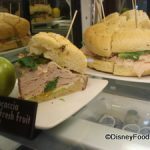 I’ve been doing to Epcot my whole life and this was the first time I ever discovered the school bread – it is GOOD! They did have that rice cream stuff in the case when I was there but I think it looks pretty gross. 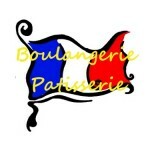 My favorite bakery though is hands-down France’s boulongerie patisserie. AMAZING stuff in there! Sara — You’re not alone! Boulangerie Patisserie won our Disney World Bakery Throw Down!! So glad you found the Disney Food Blog — looking forward to your comments! We just ate a school bread during our trip last week! I had heard so many good things, I had to give it a try. 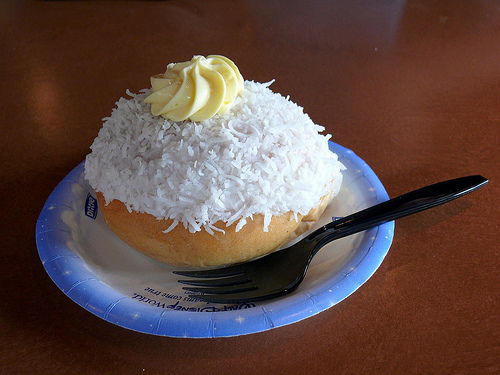 The coconut was, in fact, toasted, so the pastry looked a little more brown on top than the one in your photo. We had never eaten at Kringla before (in fact, this trip had a lot of WDW dining “firsts” for us), and went back another day and tried the lefse. I had to ask the cast member what it was. My husband’s translation: lefse=Norwegian cinnamon toast. It was good, but a bit dry for my taste. I stumbled upon the strawberry (pink, mousse-type) cheesecake at Kringla bakery myself several years ago. I think it was Sept. 2005! I have been to Disney 3 more times since, and have yet to get to eat the cheesecake again! It was soooo delicious and for some reason they just don’t have it anymore. Jennifer — Don’t you hate it when they take your favorites away? I adore their sweet pretzels, and I get one every time I go to Epcot. <3 It makes my mouth water & my tummy grumble just thinking about it. I love this bakery! The school bread to me is as good as it has always been. I adore the vegetable torte, and they warm it to the perfect temperature. I need to find the recipe for it because even my finicky 14 year old thought it was terrific and wants me to make it at home. Any suggestions besides Google? Last time I was there I had a great pastry called rullakake, I probably spelled it wrong here, but it was a rolled cake with lots of creme in it, and raspberries, lots of fresh raspberries. This is probably my favorite bakery in disney, and the lines are nothing like the ones at Boulangerie. I had my first school bread last summer and fell in love. We are coming to Disney in 3 weeks but won’t make it to epcot this time. Would they deliver a school bread to Kidani Village? Went to the Norwegian bakery (as I always do) for my annual fix of school buns. I bought 6. When I got to my room I almost wept they were awful the bun was stale without a hint of cardommon the custard tasted like instant pudding ( really bad) and the toasted coconut did nothing to add to the best pastry I remember ever having why oh why did you spoil something so perfect with this new horrible mess my wife agreed and the other 5 buns went into the garbage! Fool me once!! !